Looking for a USED 22120? Sharp Precision Machine Tools, inc., has been supplying high quality machine tools for a quarter of a century now, with approximately 150,000 Sharp Precision machines worldwide. The name Sharp Precision Machine Tools stands for enduring precision. a statement that defines not only the machines we sell, but the very spirit of our entire company. Sharp Precision Machine Tools has been in business over the past 38 years, we've grown into a full service machinery supplier. Full line of 5 Axis CNC milling for the aerospace and Medical industry to Mini mills for the Job Shop that requires a work horse at a fair price. Sharp is a high quality, one-stop machine tool supplier. 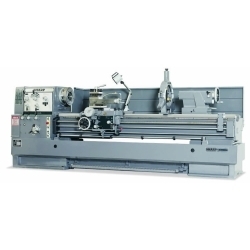 We have a complete product line of metal cutting machines ranging from vertical and horizontal milling machines, lathes, surface grinders, cylindrical grinders, radial arm drills, electric discharge machines and to full-featured CNC Machining Centers and Turning Centers. Sharp is here to stay. With a 38-year rock-solid track record, you can be sure that Sharp Precision Machine Tools will continue to supply parts and service for every machine we sell and stand behind our machines in the future just as we have in the past. We are committed to serving you better and more efficiently. We are constantly evaluating and acquiring new technologies that will help us serve you better and quicker. Sharp Precision Machine Tools is always interested in working with good people. If you are interested in representing Sharp please forward your resume and call to discuss open territories across the US, Mexico and Canada that we need coverage. We are looking for people that understands manufacturing and robotic automation solutions. Looking to Purchase a New SHARP 22120?